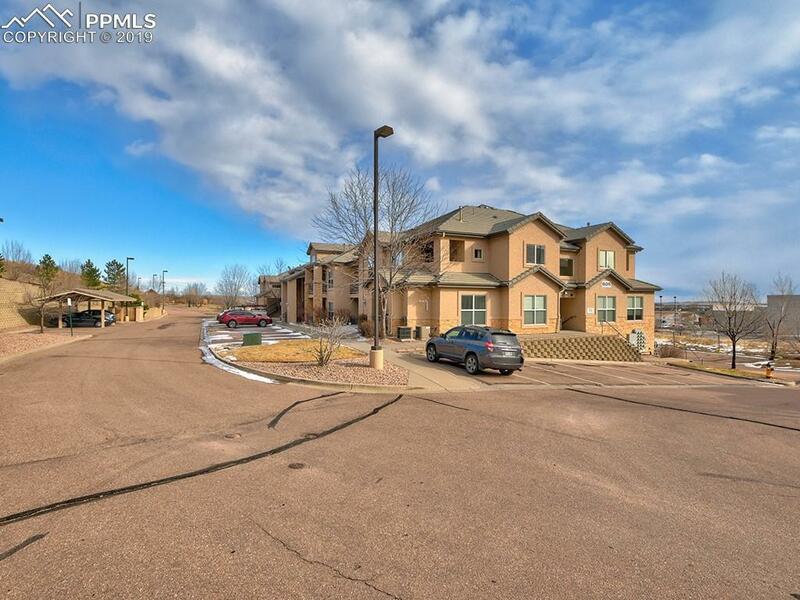 Must see bright and open south facing top level condo with windows throughout that embrace views of Cheyenne Mountain. 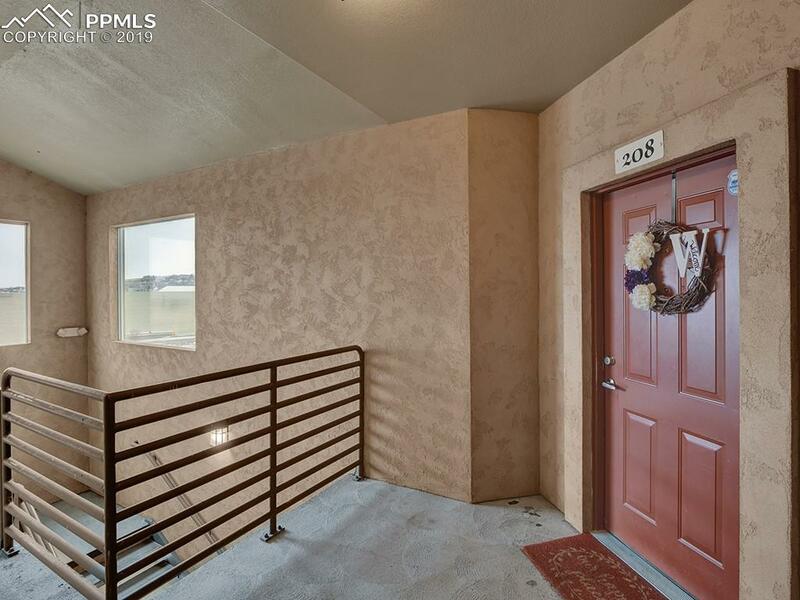 Main level has wood laminate flooring and 9' vaulted ceilings throughout. 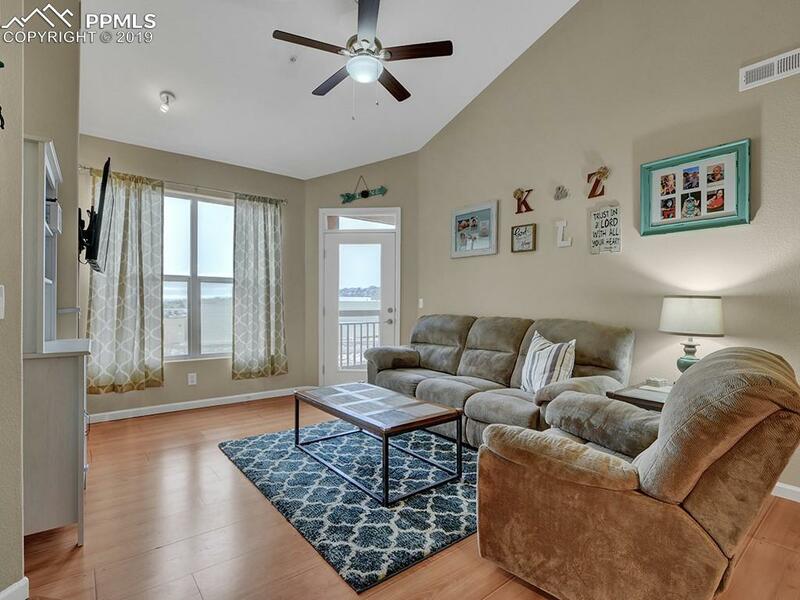 Master bedroom walk-out to a shared balcony to the living room, has a full master bath and large walk-in closet. Second bedroom also includes 9'ceilings, wood laminate flooring and sits across 2nd bathroom. 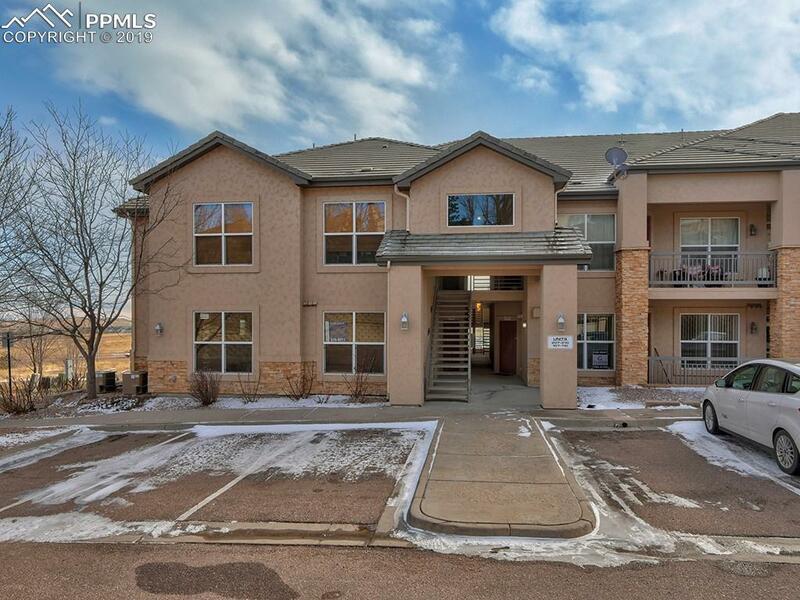 Close to shopping, D12 schools, Ft Carson and Cheyenne Mtn AFB.